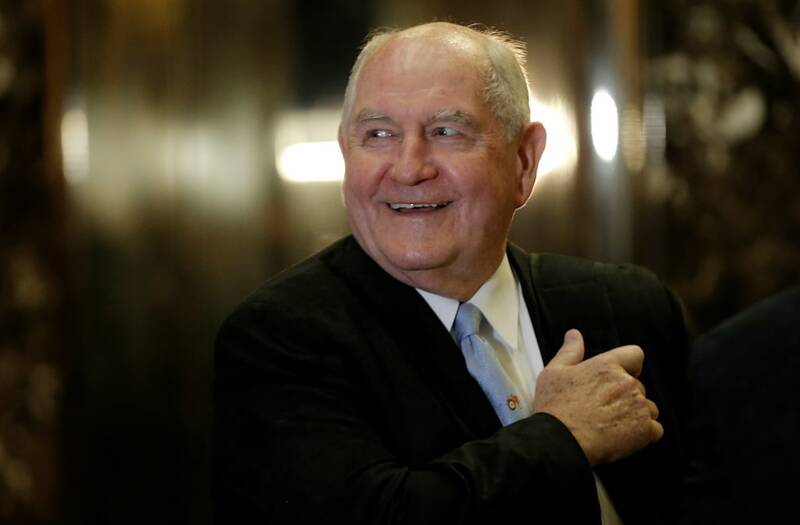 WASHINGTON, Jan 19 (Reuters) - U.S. President-elect Donald Trump on Thursday officially announced Sonny Perdue as his choice for secretary of agriculture, selecting a former Georgia governor over candidates from the Midwest, which dominates agriculture exports. Perdue, who was on Trump's agricultural advisory committee during his presidential campaign, has to be confirmed in the post by the Republican-led Senate. Perdue served two terms as Georgia governor from 2003 to 2011. Prior to that, he was a state senator, representing a rural swath of the state about 100 miles (160 km) south of Atlanta. "From growing up on a farm to being governor of a big agriculture state, he has spent his whole life understanding and solving the challenges our farmers face," Trump said in a statement. Trump takes office on Friday. Perdue, who holds a doctorate in veterinary medicine and served in the U.S. Air Force, founded a grain and fertilizer business in Georgia. "I'm going to champion the concerns of American agriculture and work tirelessly to solve the issues facing our farm families in this new role," he said in a statement.